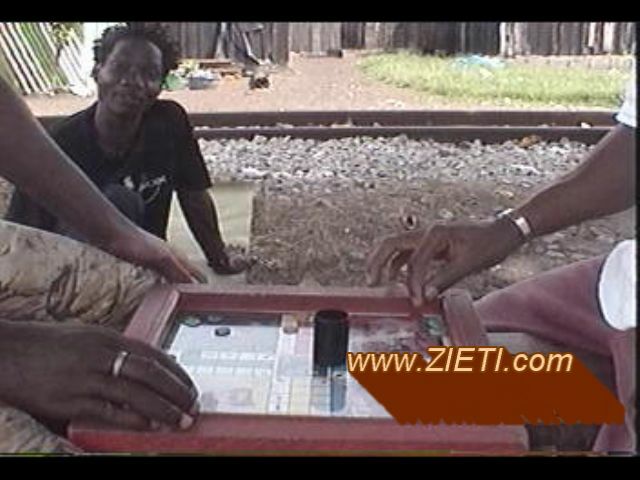 Narcisse is from the extreme west of the Cote d’Ivoire near the border with Liberia. He is a member of the ethnic group self- identified as either We or Guere. His family is from the small town of Bangolo, but Narcisse was raised in the regional capital of Duekoue. He didn’t excel in school, but was always noted by teachers for his ability to sing. This was no accident, as his family is full of traditional singers and dancers, including a famous uncle who would go from village to village to perform one of the mask ceremonies so central to Guere culture. After dropping out of school at a very young age, Narcisse began pursuing music full time with Dr. Blihe Bayé Gaspard, a guitarist and singer from the older generation who had played with some of the area’s top musicians in the 60s and 70s. During that time Narcisse also met Laurent, who was working at his father’s hotel in the neighborhood. They recognized in one another a kindred spirit and passion for music, and fast became like brothers. They rehearsed every night and formed a band in Duekoue to participate in radio competitions and other events, until Laurent left for Abidjan in 1992 to attend music school. In 1993 Narcisse went to Abidjan to record an album with Dr. Blihe Baye Gaspard (at the studio of Mamadou Doumbia), and to reconnect with Laurent. They played wherever they could, and eventually appeared on national television shows like Podium (3 times), Chorus and Marlboro Rocking. Through King Shabba, a good friend and leader of the rasta community in Port-Bouet, Narcisse and Laurent met American drummer Alex Owre in 1997, and later guitarist Michael Shereikis. They soon added bass player SEHOUA Aristide, and Zieti was formed. Narcisse has been supporting himself exclusively through music ever since. He now lives with Laurent in the area of Jean-Foly near Abidjan’s airport, composing songs and working to establish Zieti’s base of operations in Cote d’Ivoire. Narcisse has four children, 3 of whom live in Duekoue with their aunt. The eldest is in Togo with her mother. Laurent is also from the extreme west of Cote d’Ivoire near the border with Liberia, and a member of the We, or Guere, ethnic group. He was born in Duekoue to a well established family. Due to his integrity and wisdom, along with his position as Capitaine de la Douane (Chief Customs Officer), Laurent’s father is a well respected and oft-consulted man in the region, a sort of de facto chef du canton. Laurent was expected to take over his father’s affairs and perhaps inherit his mantle, but music had other plans. Laurent left Duekoue for the capital, Abidjan, in 1992 to attend INSAAC (Institute National Supèrieur des Arts et de l’Action Culturelle). He soon wrote a letter back to Narcisse urging him to come to Abidjan and pursue their music together. The two settled in Port-Bouet, a beach shanty near Abidjan’s airport. They played wherever they could, and eventually appeared on national television shows like Podium (3 times), Chorus and Marlboro Rocking. 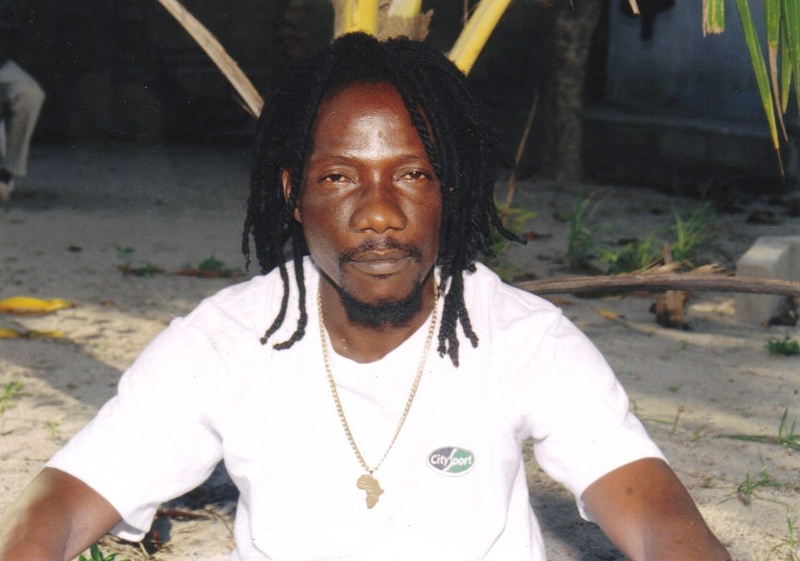 Through King Shabba, a good friend and leader of the rasta community in Port-Bouet, Laurent and Narcisse met American drummer Alex Owre in 1997, and later guitarist Michael Shereikis. They soon added bass player SEHOUA Aristide, and Zieti was formed. Though he did not respect his father’s wishes in the path he chose, Laurent stays very connected to his Guere heritage and cultural tradition, and draws most of his musical inspiration from what he calls le folklore. In addition, before her passing in the late 90s, Laurent’s mother was recognized in the area as a visionary. She received the gift of seeing-beyond as a young woman, and was held in high regard for this gift throughout her life. Laurent very much lives and writes from the same sort of old-school spiritual perspective as his mother. Laurent survived the recent political upheaval in Cote d’Ivoire by keeping his head low while events ebbed and flowed, amid tragic reports of hundreds massacred in Duekoue where he had returned to manage family farms. Laurent is currently living with Narcisse in the area of Jean-Foly, near Abidjan’s airport, composing and working to establish Zeiti’s base of operations in Cote d’Ivoire Laurent has 2 grown sons, both in Duekoue. Michael Shereikis started playing African-style guitar as a Peace Corps volunteer in Central African Republic. With plenty of time on his hands, a walkman and an acoustic guitar, he began his lifelong love affair with African cross-rhythms. Untrained in any classical sense, he has nonetheless learned from some of the greatest guitar players to ever devastate a fretboard: Diblo Dibala, Sekou Bembeya Diabate, Djelimady Tounkara, Atisso, and on and on, all from cassettes and CDs. After Peace Corps, Michael studied anthropology at Tulane University, and spent two years in Cote d’Ivoire researching a dissertation on how market forces shape the artistic vision of local musicians. He and Zieti found each other within a week of landing in Abidjan, and they spent two years making music together. After leaving Cote d’Ivoire, Michael settled in the DC area with his wife and two kids. There he found a loose network of African musicians of massive talent, struggling to make ends meet as security guards and pizza deliverers. They were sadly finding their dream of making music in the states a harsh reality of low wages and bills to pay. Michael abandoned his dissertation, and set about the project of creating infrastructure to give those musicians a fighting chance. He started by building a modest studio into his garage to facilitate recording, and co-founding an independent record label, Grigri Discs, to organize the business side of things. He has since produced albums by DC African music groups Chopteeth Afrofunk Big Band, Cheick Hamala Diabate, Elikeh and now Zieti. Michael has played guitar or bass for all these projects, and is still picking, singing and writing songs with Chopteeth. Alex Owre began drumming the morning of his eighth birthday when he awoke to some shiny bongos at the foot of his bed. Soon he was accompanying his father’s saxophone on drumset and playing along to records running heavily to jazz and world music. In the early ’90s he studied djembe in Burkina Faso with the drum and dance troop Watinoma. He returned to West Africa in 1997, to Abidjan, Cote d’Ivoire with his wife Ellen and his drums. There he met a man named King Shabba, an elder from the rasta community in Port-Bouet near the beach. Shabba introduced Alex to Laurent and Narcisse and there was instant recognition of their talent and unique sound. So they started hanging out and playing music together. Weeks later Michael arrived with his guitar, then Aristide with his bass, and Zieti was born. Alex now lives and drums in Maine with his wife and two children. Kouame (backing vocals) also the assistant studio engineer in Abidjan. Gobea Roger (backing vocals) is from a well known family in the popular music scene in Abidjan, and is an Abidjan session pro, able to match harmonies in a wide range of voices. Aristide Zogdoule (bass) is a truly gifted bass player from Cameroon, now residing in the DC area and playing with groups like Jabali Africa and Elikeh among others. Ary’s pocket on the bass is simply world-class. Atta Addo (djembes) is from a musical family in Accra (Ghana), and began playing drums at age 7. By the age of 12 he had joined his first working group, and by 17 he was touring in Europe, East Africa and beyond with a series of world-class artists. Atta has played with the likes of Hugh Masakela, Angelique Kidjo, Toots & The Maytals, Orlando Julius Ekemode, Alhadji K. Frimpong and others. Since coming to the US several years ago, Atta has taught drumming at the University of Colorado in Boulder, and has toured the US with Los Angelos-based band Solfege. He was also principal percussionist for DC afrofunk crew Chopteeth until moving back to Colorado in 2009. Brian Simms (organ, accordion) is one of the top keyboardists and accordion players in the DC area. He is the mastermind behind Baltimore’s renowned New Orleans funk band Junkyard Saints, and has toured and recorded with Rounder recording artists Disappear Fear. Brian performs with many of the DC area’s most notable bands and musicians, including Chopteeth, Billy Coulter, Patty Reese Band, Squeeze Bayou, and 2009 Grammy-nominated group Milkshake. Brian also records extensively; he has performed on over 100 CDs, and he can be heard on numerous radio and TV spots. Most recently he was voted 2009 Musician of the Year by the Washington Area Music Association. Brian is a graduate of Towson University’s music program. He teaches independently and is a guest lecturer on the music business at area colleges. Trevor Specht (saxophones) Trevor combined his interest in technology and music as a computer music student at Peabody Conservatory in Baltimore. He has performed a wide variety of musical styles with many different groups, ranging from classical saxophone quartets and wind ensembles to funk/rock party bands and currently plays with Chopteeth Afrofunk Big Band and other projects in the DC-Baltimore area. A few of Trevor’s musical heroes are Branford Marsalis, Charles Mingus and John Cage. Mark Gilbert (horn solos) is a genius on the saxophones, and a long time citizen of the DC jazz scene. Mark’s high school rock band played at the original Fillmore Auditorium in San Francisco, and he has spent the 40 years since performing with some of the most respected names in jazz, soul and funk. Mark toured for seven years with the DC horn section backing Gladys Knight and the Pips, and has played and recorded music around the US and Mexico with artists such as The Temptations, The Four Tops, The Dells, Cab Calloway, Don Cherry, Los Flamers, Rootboy Slim, Trouble Funk and many others. Mark has performed during three Presidential inaugurations, and he has played in many local jazz, funk and salsa groups including Windmill Saxophone Quartet, Locura, Chainsaw Jazz and Vector. When he lets loose as a member of Chopteeth, his signature, unexpected turns of phrase and devilish, flickering runs bring audiences to a froth. Mahiri Fadjimba Keita (djembe, krin) has been drumming for over 2 decades. He was a lead drummer at the age of 8 in Trenton, NJ and participated in his first international tour at 14, performing with the Maimouna Keita School of West African Dance Children’s and Adult Company (NY) at the Sorano Theater in Dakar, Senegal. 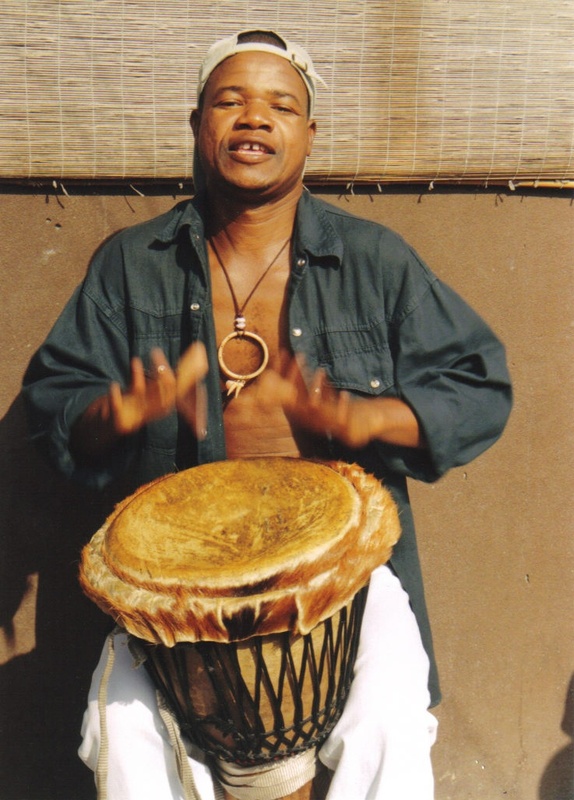 Mahiri continues to commit his life to studying Mandingue drumming extensively with master musicians and historians of Mandingue and other West African traditions, including Mamady Keita (Guinea), Famoudou Konate (Guinea), Fadouba Oulare (Guinea), and Djimo Kouyate (deceased-Senegal). He has toured internationally and nationally as a lead drummer with several professional performing companies, including Mamady Keita’s production tour “Sewakan”, Memory of African Culture Performing Company and Wo’se African Dance Theatre. As a graduate of Tam Tam Mandingue (TTM), a school of percussion founded by Mamady Keita, he is the first appointed instructor in the US. His massive spirit and incredible talent also help animate dance floors as part of DC’s Chopteeth Afrofunk Big Band. Jason Walker (congas, ashiko, shekere, krin & triangle) is a multi-disciplined percussionist with over twenty years of training and experience. He began training in the eighties with Kenneth Krohn. 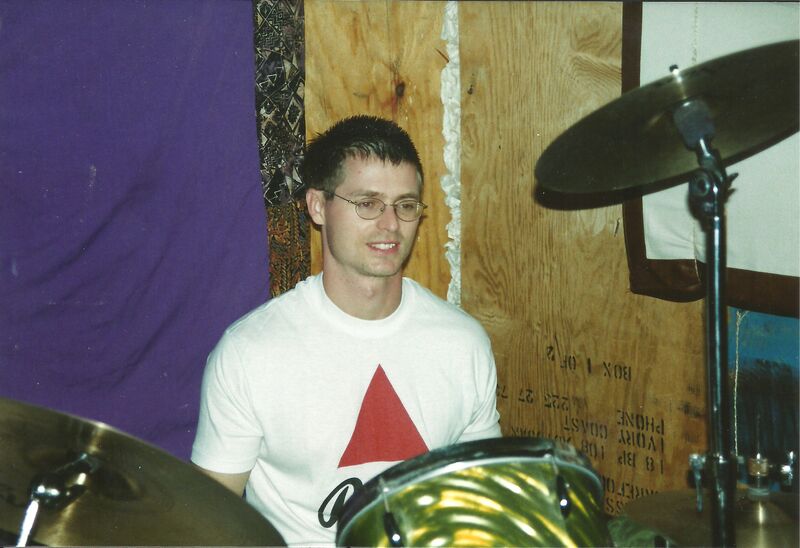 He is a 1996 graduate (BM percussion performance) from the Hartt School of Music in Hartford, CT. Currently Jason studies Afro-Cuban rhythms with master percussionist Sam Turner and Ashiko with Baba Taiwo Duvall. Jason’s music can be found in a number of settings including: performance, recording, therapeutic intervention, dance accompanist, and group and private instruction. He is currently the drummer with Chopteeth and blues trio Hard Swimmin Fish, along with several other musical projects in the DC area. Victor Crisen (guitar) puts the “chop” in Chopteeth, digging into vintage grooves and launching wicked solos throughout the DC area as lead guitarist for the 12-piece afrofunk machine. Originally from Romania, Victor has been playing guitar since childhood. He studied music at the University of Maryland, where he was privileged to play with the Maryland Jazz Ensemble and work with maestro Chris Vadala. Victor has collaborated with a number of groups, including funkers Original Jones and alt-rockers The Walk (now Continuous Play). He teaches guitar professionally and has done studio recording work in addition to pursuing acting. 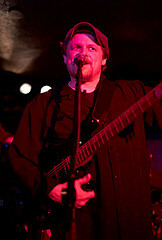 John Lee (slide guitar) is a guitarist and composer with a very diverse and ecclectic vision. Masterful and versatile, his style hails from all walks of life in music, such as jazz, rock, blues, African, Indian, classical, etc., combining them all together in one very special sound. It is unmistakable and ethereal, with moments of chaos and madness, and is ultimately unforgettable.